Two weeks ago Former Hillary Clinton presidential campaigns adviser and Clinton State Department official Philippe Reines attacked White House Press Secretary Sarah Huckabee Sanders with profane and sexist language. This was following the controversial personal attacks on Sanders at the liberal media’s White House Correspondents’ Association Dinner. 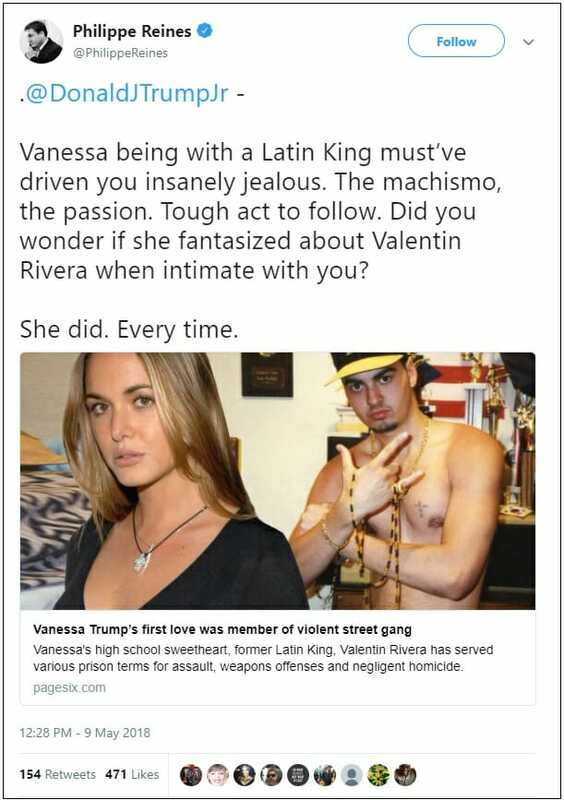 Reines also attacked First Lady Melania Trump and the Trump family as being a “diseased clan” and having “rotten souls”. 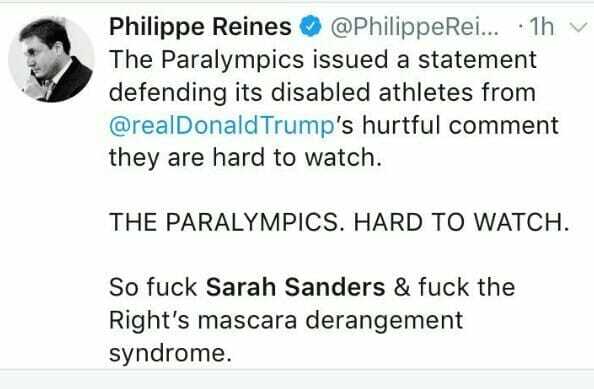 On Wednesday Phillippe Reines attacked Donald Trump Jr. with a very crude and evil tweet. Donald Trump Jr. and his wife are going through a divorce. Reines attacked Trump Jr. using his ex-wife and disgusting sexual references. Phillippe Reines is a regular on FOX News.